Data centers operate around the clock, every day of the year. They are responsible for many tasks, including security monitoring and hosting the business’s Internet server. These tasks can’t be interrupted which is why many data centers have their own separate power source. Under normal circumstances, this power source comes from the building’s main supply, though will probably be on a different circuit. The power supply to your building comes from a municipal electric company and travels to the building via conventional power lines. Once it arrives at your building, the electricity is dispersed along the building’s own electrical system. Power usage experiences peaks and troughs throughout the day; while some equipment is left on around the clock, most machines are shut off during the night. Still, your building continues to consume power. Heating and cooling systems, security systems, and data centers require a stable power source. Because the of variable demands made on a building’s power supply, many data centers are give their own circuits to run on; this ensures that they always get as much power as they need. This way they’re less likely to be affected by power shortages experienced by the rest of the building. Many businesses choose to install additional data center power systems that aren’t connected to the primary electrical system. This extra power may be provided by another power company, by an in-house generator, or by a battery back-up. Generators and battery systems usually switch on when the regular power supply is interrupted. Data center operators can also switch these systems on manually or test them without disturbing the function of the computers. Data center power needs involve more than just the computers, servers, and monitors being used. Ventilation systems also need to receive a steady supply of power to continue to operate. Computers generate quite a bit of heat, which an internal fan helps to disperse. When many computers are kept together in a room, the collective heat has the potential to damage the equipment. 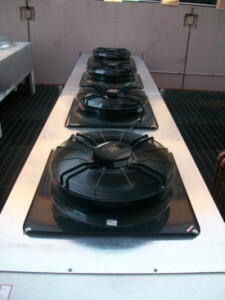 For this reason, extra ventilation and cooling is built into these rooms. There are several data center power companies that you can choose to contract with. Some are geared to serving the needs of medium-sized businesses while others are particularly geared towards the needs of large businesses and corporate organizations. Regardless of how large your particular organization is, you can expect that the company you work with to provide you with excellent customer service, skilled technical support, and a responsive help line. Customer service phone lines are open twenty-four hours to answer your questions and respond to any concerns you have. You can also arrange for visits from their technicians to perform regular maintenance on the data center and any backup power supplies you are using. Your business relies on the data center for many things. A reliable back-up data center power supply will give you considerable peace of mind.